Narcolepsy is a central nervous system disorder that affects the brain’s ability to regulate sleep-wake cycles. Scientists believe that people with narcolepsy lack a chemical in the brain called hypocretin, which activates arousal and regulates sleep. 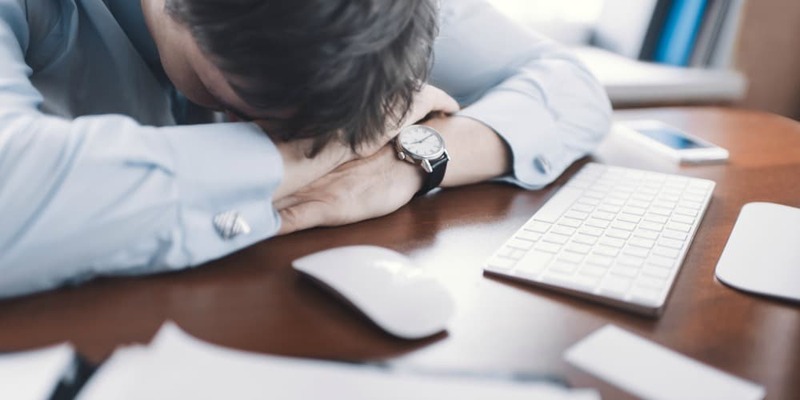 Symptoms of narcolepsy include excessive daytime sleepiness, hallucinations, microsleep (in which you continue to function but are actually sleeping), and nighttime wakefulness. Narcolepsy can affect your daily life by causing you to become lethargic or fall asleep at any given moment. It can make you unable to focus during business meetings, cause you to nod off during lunch with friends, and even make you lose alertness while driving. If you have narcolepsy, knowing you could fall asleep anywhere can make going to work or being in any public place very intimidating. Unfortunately, there is no known cure, but doctors recommend some behavioral treatments that may improve symptoms to help you lead a more normal life. While most people take about 90 minutes to enter deep REM sleep at night, narcoleptics’ unique sleep cycles cause them to enter the REM or dream phase right after falling asleep, which can happen anytime throughout the day. Sporadic REM daytime sleep can cause wakefulness and restlessness during the night. Nightly sleep problems have a noticeable impact on daytime cognitive function, so a key to living well with narcolepsy is to maximize your chances for high-quality, deep nighttime sleep. Take several short, scheduled naps throughout the day if possible. Keep your body engaged by taking walks outside, using a standing desk, and standing while talking on the phone. Sit near a window since sunlight, and fresh air can help to keep you alert. Eat small meals with plenty of vegetables, protein and whole grains. In order to make quality sleep as accessible as possible, it’s important to practice a good bedtime routine. Avoid caffeinated beverages late in the day, stick to a consistent bedtime and waking hour, and keep your bedroom cool, quiet and dark. If you think you have symptoms of narcolepsy, talk to your doctor. He or she may recommend that you take a narcolepsy test, which involves assessing your medical records and sleep history, taking a blood test, and participating in sleep studies. During an overnight study, your brain waves, heartbeat and breathing will be recorded as you sleep, and a follow-up daytime study will assess your nap patterns. Achieving REM sleep in two or more naps could be consistent with a diagnosis of narcolepsy. Scheduled naps during the day and the best sleep possible at night are both recommended ways to combat symptoms of narcolepsy. If you don’t have a mattress that lets you sleep as comfortably as you should, talk to the mattress experts at Beloit Mattress. We do all we can to help everyone we can sleep well – visit a Beloit Mattress location to experience a factory-direct mattress for yourself. Discover a better way to sleep, and download your FREE Mattress Buying Guide, complete with the knowledge and experience from our very own mattress experts.